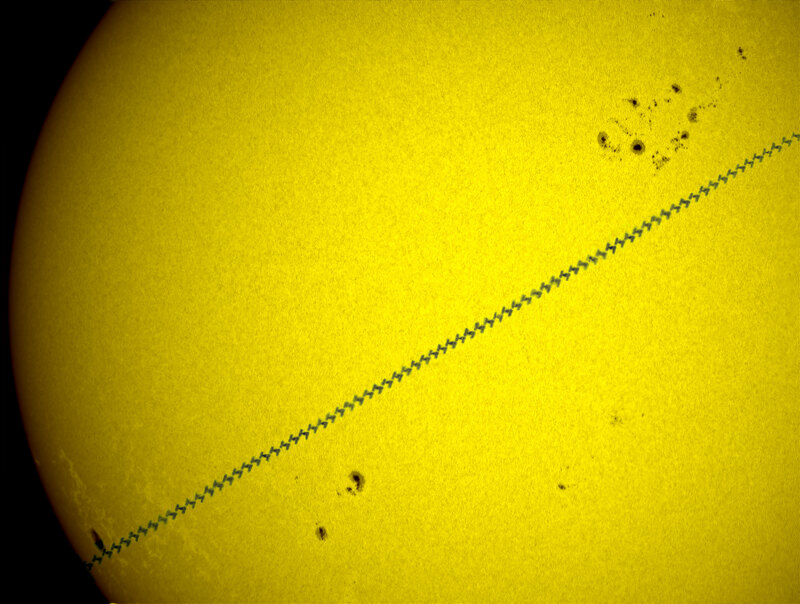 ISS solar transit on February 25 captured in Moscow, Russia. When I have came to observing place I have found that I forgot solar filter and I only had ten minutes to get back to my home to get. So I had to ran a race competing with the ISS. I was lucky to win because the path of the transit was located just near my house. Image processing: Stack of 100 frames, image deconvolution, pseudo color.